Collaboration between government, non-governmental organisations, international organisations, donors and researchers is critical to ending the pandemic of violence, particularly violence against children. 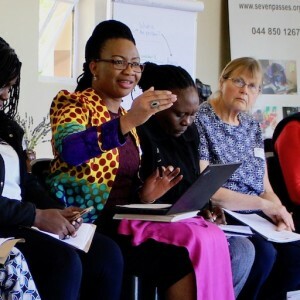 This policy brief presents a framework for bringing the sectors together to take evidence-based violence prevention programmes to scale in South Africa. It is based on a series of consultations with experts from government and civil society. Celia Hsiao is the research manager at Save the Children South Africa. Chandré Gould is a senior research fellow in the Justice and Violence Prevention Programme at the Institute for Security Studies. Heidi Loening is a research and evaluation specialist at the United Nations Children’s Fund (UNICEF) Office of Research – Innocenti Florence, Italy. Patrick Burton is the executive director at the Centre for Justice and Crime Prevention. André Lewaks is the Children’s Rights and Positive Parenting Manager at Sonke Gender Justice. Nwabisa Shai is a senior scientist in the Gender and Health Research Unit at the South African Medical Research Council. Honorary Lecturer, School of Public Health, University of the Witwatersrand.